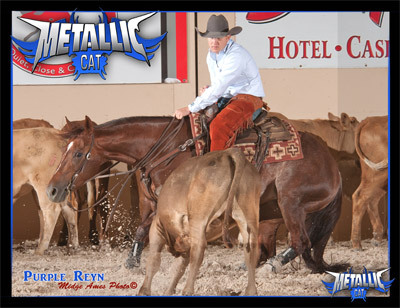 What a way to start our Sunday morning – Congratulations Purple Reyn owned and shown by Brandon Dufurrena, on your Championship run in the finals of the Derby Non Pro at the Southern Futurity. This pair are true . . . . Rock Stars!